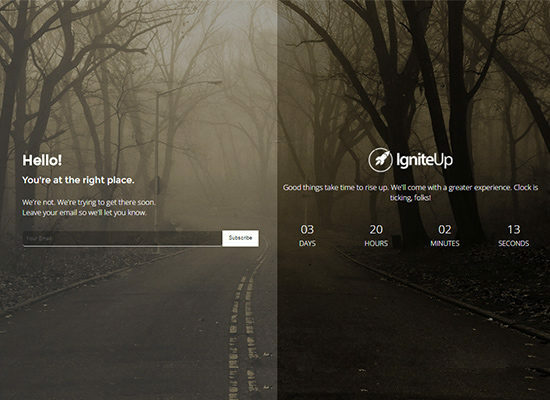 Create decent coming soon pages or maintenance mode pages for your WordPress websites with the Two-Face template for IgniteUp. This template has all new features that you cannot find in any of other templates which helps you to create a landing page with a large amount of information with only few mouse clicks. Detailed information section ideal for a About Us section. Snow and Particle animation effect support. Fully customizable with easy options. Separate section to display social media icons.